Composed by Richard Fox. Christian, Contemporary Christian, Christmas. Score. 10 pages. Published by Severn Music (S0.122617). This Christmas composition for SATB choir, upper voice soloists and piano is a reflection on the meaning of the events of the first Christmas. First performed in Shropshire in 2015 by the Gallery Singers. 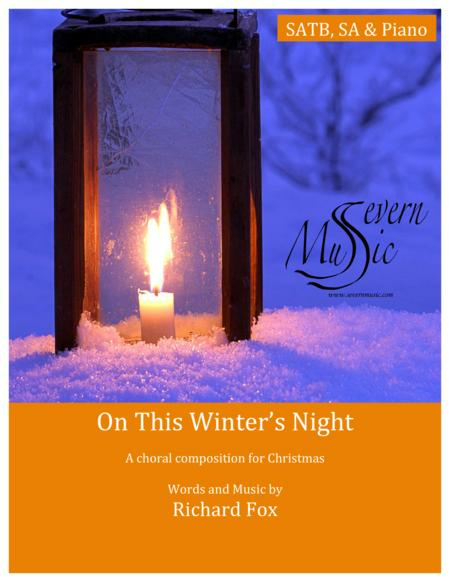 Published by severnmusic.com. Please visit our web site for more choral music.